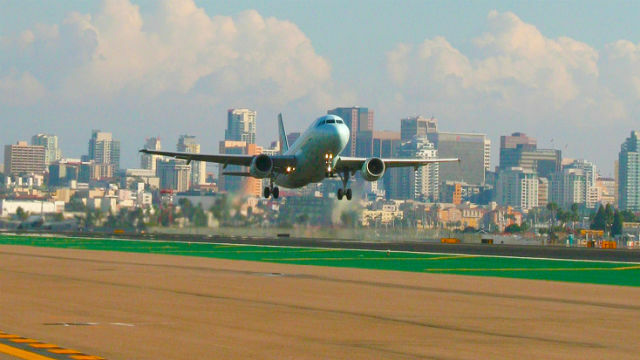 A jet airliner landing at San Diego International Airport. Courtesy of the Airport Authority. Four airlines at San Diego International Airport will move terminal locations at the end of January, the Airport Authority announced Monday.